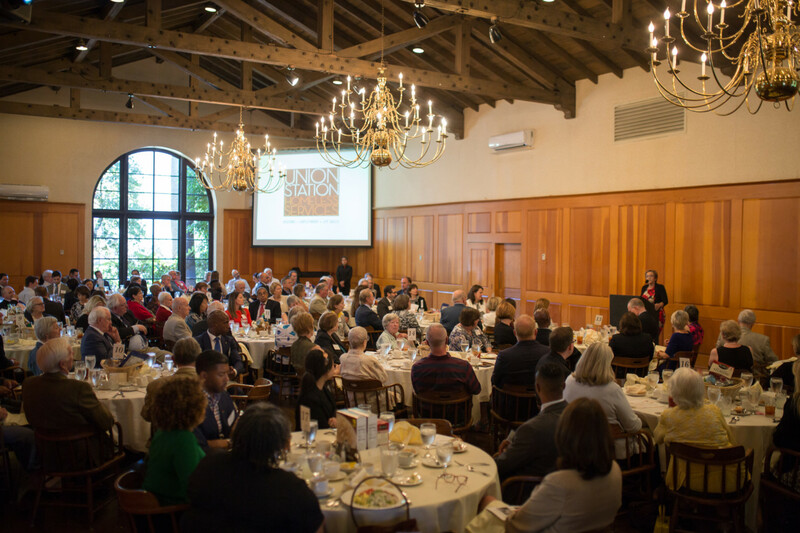 On September 18, the Pasadena Community Foundation honored 130 guests which included Legacy Society members, Endowment Builders, and Professional Advisors at its Legacy Luncheon. Guest speaker John J. Kennedy, Pasadena City Councilmember and Vice Mayor, spoke about creating an endowment to honor his parents. He shared stories about his parents and how they emphasized education and sacrificed for their children. He also credited the Cushmans, a married couple he met as a young teenager, for taking him under their wing and shaping the trajectory of his life. Mr. Kennedy went on to receive degrees from prestigious universities such as USC and Howard University, and believes access to education is the great equalizing force in society. Leaving a lasting legacy with the Pasadena Community Foundation is his way of paying tribute to those who helped him. 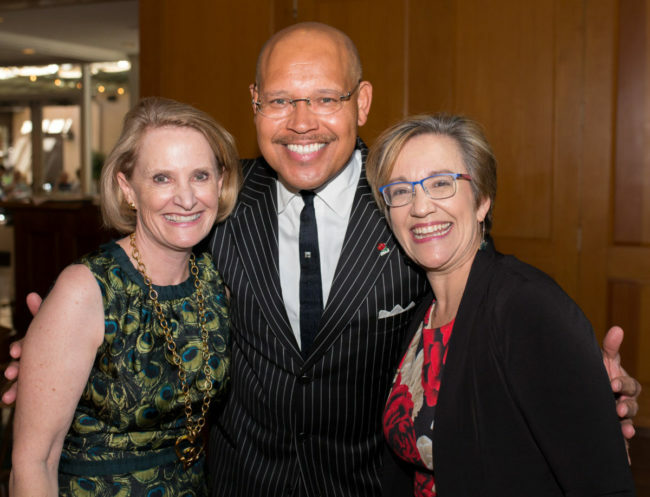 (John Kennedy pictured above in the center with PCF CEO Jennifer DeVoll to the left and Union Station Homeless Services CEO Anne Miskey to the right.) The second speaker was Anne Miskey, CEO of Union Station Homeless Services in Pasadena. PCF has been a longtime grantor of Union Station, doling out $500,000 in grants over the years. Ms. Miskey encouraged the audience to embrace affordable housing that both uplifts individuals and their families to become self-sufficient while enhancing local communities. She also spoke about how the clients Union Station serve can come from all walks of life and experience homelessness through varied life circumstances such as poverty, unstable family situations, mental illness, and addiction. At the end of the event, PCF gifted Union Station with the mealtime centerpieces composed of non-perishable food items, which were purchased in lieu of flowers. 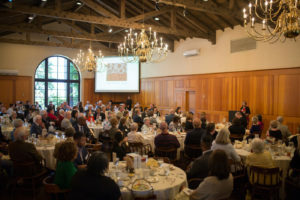 Finally, Jennifer DeVoll announced a new $45,000 endowment recently established to support the poor and disadvantaged in the greater Pasadena area which will add to the collection of endowments PCF holds for the benefit of the greater Pasadena community. Watch this trailer on the value of leaving a lasting legacy for the Pasadena community. For the full video, click here.